Welcome to the EvgieNev Decals Giveaway! Disclosure: My Best of Both Worlds did not receive any compensation of any sort to participate in this EvgieNev Decals Giveaway. This is just another great giveaway that I am helping promoting because readers like to win great prizes. This information is brought to you by EvgieNev Wall decals. Paining a room is a lot of work. You have to remove the faceplates and get around the trim and the ceiling. I have found a better and easier way to change up a room. With Evgie wall decals you can easily change out the scene in a room and even customize your color scheme. 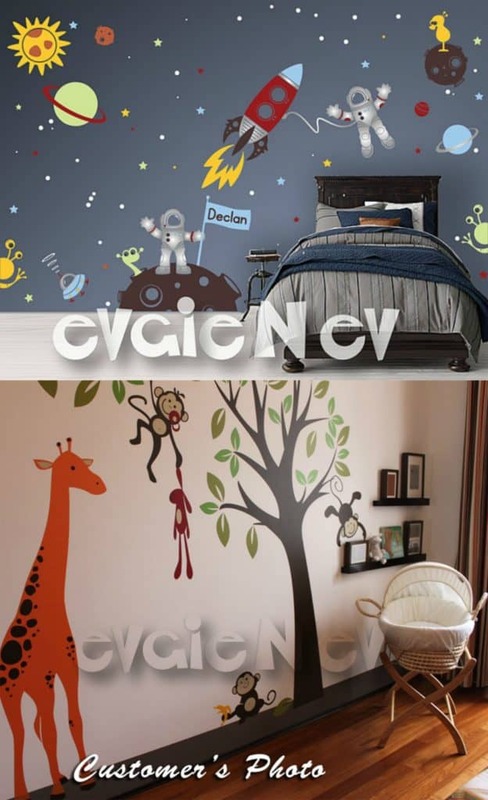 EvgieNev Decals have charismatic charters, action designs that develops intellectual curiosity and emotional feelings. There are lots of live animals and natural surroundings. You will find scenes from Africa, South America, Antarctica, etc. 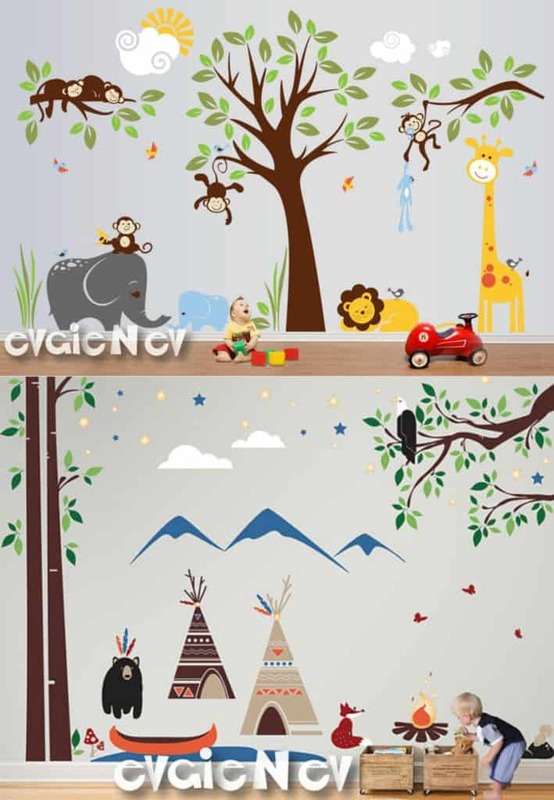 Baby Nursery Wall Decals with Lion, Giraffe Elephants and Monkeys. 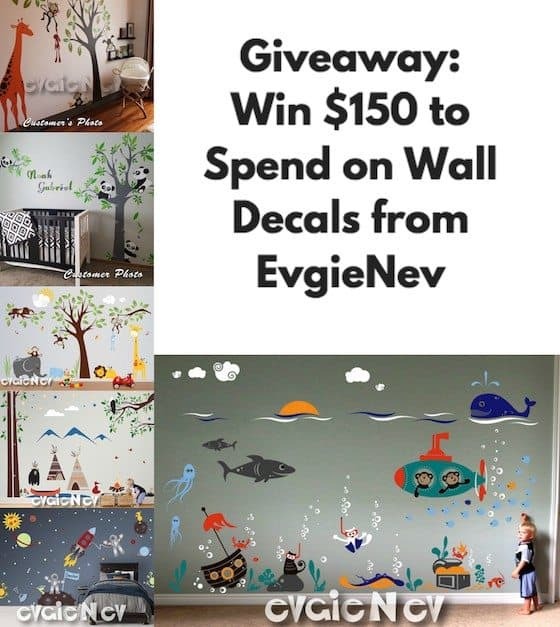 EvgieNev makes it easy to order beautiful AND removable wall decals! They are easy to apply, and to remove when you are ready for a new look. Your kids will love them. It could be exactly what you ned to finish your nursery! EvgieNev can also do custom decals of pretty much whatever you can think of! They can adjust colors, sizes – if you can image it they can do it! All the elements come separately and can be arrange any way you’d like. You can even order custom colors. And a FREE testing decal is included. The vinyl decals from EvgieNev are made of top-quality matte vinyl. Perfect to decorate and add your personal touch to any space or switch themes in child’s room. Disclaimer: My Best of Both Worlds is not responsible for prize fulfillment. EvgieNev the sponsor is responsible for prize fulfillment. This event is in no way associated with, sponsored, administered, or endorsed by Facebook, Twitter, Google,Pinterest or any other social media network. The disclosure is done in accordance with the Federal Trade Commission 10 CFR, Part 255 Guides Concerning the use of Endorsements and Testimonials in Advertising. My Best of Both Worlds did not receive any compensation in exchange for the promotion or publication of this post. If I won the $150 prize I would be the underwater scene for my Godson. I think he’d really like that! 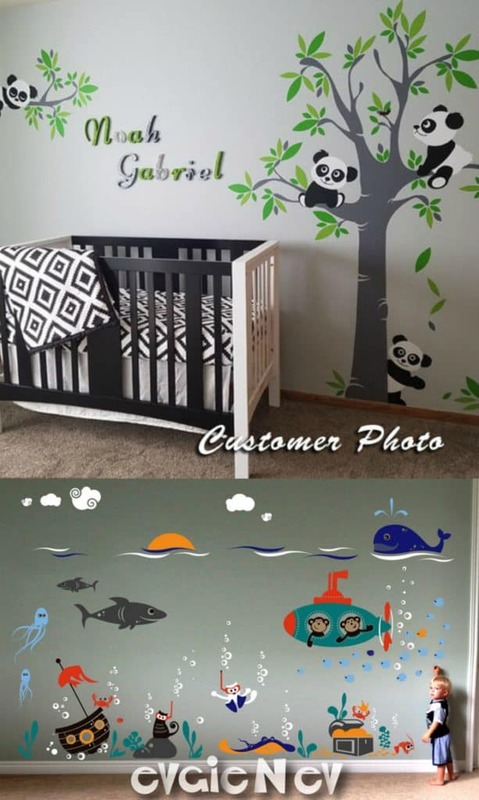 If I won, I would like to buy Pandas Nursery Wall Decals for kids room – Tree and Five Little Bears with flying Balloon. I also like Valentine’s Wall Decals – Teddy Bears LOVE Wall Decals – Hearts Baby Nursery – Boys & Girls Room Decals. I like Adorable Teddy Bears – Wall Decals and Baby Nursery Wall Stickers.